ITNS Radio 24/7 Live, the show “By Musicians For Musicians”! Over 6 years and more than 600 Episodes of music and interviews from all genres of music around the world!!! Will The Real Solo Nitty Gritty Please Stand Up...ITNS Radio! ITNS Radio 24/7 Live, the show “By Musicians For Musicians”, bringing you the best Songwriters, Artists and Music Professionals from all over the world! This is the place for great music, interviews by professionals in the music field and a whole lot more!!! Come into the Neon Lights, ITNS Radio!!! 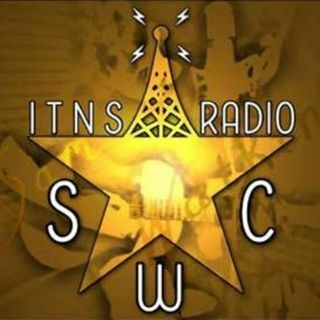 DISCLAIMER: Receiving airplay on ITNS ... See More Radio is free. All the artist's that we feature or play their music have rights to the music submitted to us. We have various promotions that include our newsletter, website, and social media sites; check them out at www.samwatkinscountry.com. ITNS Radio's hour long regular rotation. Introducing you to new artists from around the world! Presenting ITNS Radio's VIP Artist Section! All the talented artists your heart could ever desire. Now separated into four parts for your viewing pleasure. Part Two of our VIP Section! Part One of Our VIP Section!